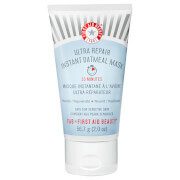 This self-activating mask formulated with CPR technology, vitamins C & E, and grape seed extract to instantly revitalize, energize and supercharge skin’s natural defenses, resulting in healthy, glowing, youthful skin. You can see and feel it working instantly! Keeps your skin hydrated without ever getting greasy. Rejuvenating, gradual oxygen release formula. Delivers amazing restorative effects to tired, damaged skin. This fast-acting mask treatment only takes 5 minutes. Massage a generous layer onto damp skin.Wait five minutes, until a full froth forms. 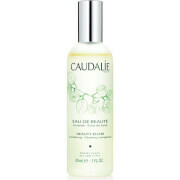 Rinse well.Follow with toner and/or moisturizer.Use whenever your skin needs a boost, a maximum of three times weekly. This mask makes my face feel great! It wakens me and makes me want to move! It makes my skin feels so soft and I've been getting compliments since I've been using it. People ask me what am I using on my skin to make it look so fresh. I would recommend this to anyone but especially if your 40 or older. It really works! Whats it supposed to do? I've used this product several times and aside from it smelling good while I use it in the shower, I don't notice anything else. It fomes up to give you the feeling of effectiveness, but use a good mint mask and save $40 bucks for something esle. The mask is fantastic and it really foams up! I used too much the first time and my entire face foamed up, pretty funny. I suggest a dime size amount and give it time.. after a minute or so it will foam up tremendously! Very cool feeling product and it really goes deep into my pores. I love how awake and vibrant it makes my skin look! This face mask leaves your skin feeling so fresh, smooth, and healthy. It is so easy and quick. I love it! Worth every penny! I absolutely LOVE this mask!! !It makes my skin look radiant and fresh after just 5 minutes! Plus, it lasts forever!!! 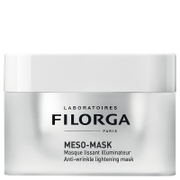 After using this mask, my skin is definitely softer, smoother and glowing! I just wish it worked faster! Didn't expect much but we both tried it [male&female] seemed to glow afterwards slightly but the next day WOW-both our skins looked brighter,fresher,dewy,squeaky clean [we smoke/tan outdoors] we have oily skin that by days end is shiny and large pores. Our wrinkles seemed less 'deep' NO SHINE & we use everything and on the female the makeup glided on and did not feel the need to remove makeup until 6 hrs after getting home. Only downside, skin felt dried out, in need of lots of moisturizer. Incredible-we will be recommending to others & will not be without this. Few products deliver much if anything. This was surprisingly superb! I'm not sure if it does oxygenize my face, but it certainly feels really nice and tingly! I do notice that my face is more glowy afterwards, and that I feel refreshed! I use this in the shower because I don't wanna make a mess in the sink when I rinse it off. I just love the way it froths! Never had a mask like this before! Nice smelling, easy to use. Has done only an OK job on my 40-ish, fair skin. I was expecting more of a 'glow', and my skin has shown a tendency to break out the day after using the mask. Get a sample to try first. I agree that this is a fun product. It smells nice and feels good while it's on your skin. Did leave my skin smooth and feeling fresh. Other than that I'm not sure it does much else. It certainly was not an awful product, but I am looking for results so I won't buy this product again.